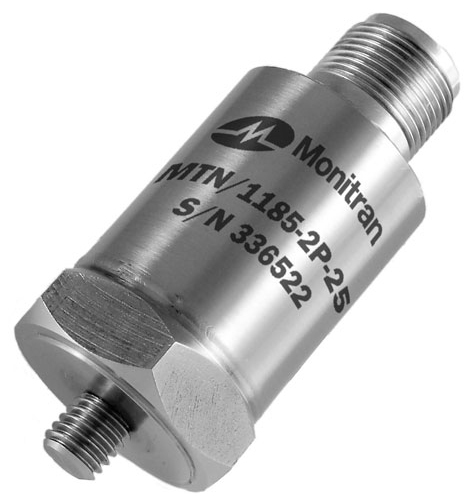 Local Monitran representative Instrotech is promoting its general-purpose monitoring sensors for use with PLCs and other industrial controllers. They provide users with continuous vibration, output, usually as a 4 – 20 mA signal. Changes in the monitor signal will allow the user to detect vibration changes in the part of the machine to which the sensor is attached. Rapid changes accompany such conditions as machines coming loose from their mountings, fan blade malfunction and bearing failure, all of which require immediate attention and machine shutdown to avoid widespread damage and loss of machine time. If the signal is logged at regular intervals, gradually-increasing vibration indicates wear in the part of the machine where the sensor is fitted, calling for replacement or detailed study with a portable vibration analyser.